If you have trouble viewing the images in this message, you may have to enable the viewing of images in your mail program or you can click here. Please do not respond to this email address. You can contact NOC at info@sjnoc.org. To unsubscribe, click here. 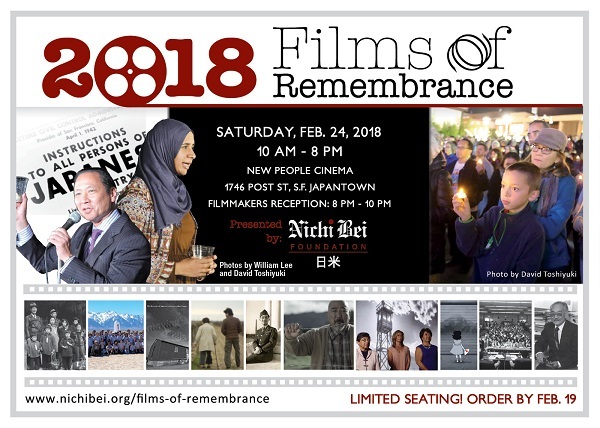 The 38th Annual San Jose Day of Remembrance event commemorates both the 30th anniversary of the landmark Civil Liberties Act of 1988 and the 76th anniversary of the signing of Executive Order 9066. The order led to the forced removal and incarceration of 120,000 people of Japanese descent during World War II. Hundreds of people will gather together at this annual event not only to remember that great civil liberties tragedy, but also to reflect on the rising tensions that are building within our communities today. The 2018 event carries the theme, "Speak Out For Justice." During these tumultuous times, ordinary people, many of whom were silent in the past, are now making their voices heard. We have been seeing a great social movement on many fronts and we are hearing the large number of voices speaking out against the unequal treatment and harrassment of women and they are saying 'No' to racism, homophobia, and Islamaphobia. 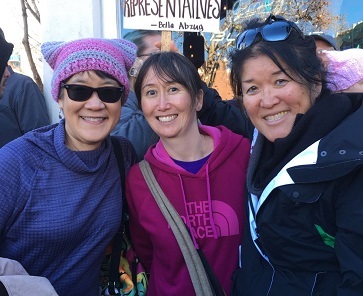 From #MeToo to the travel ban protests at airports, people are mobilizing and rising up from within their own communities to effect change. 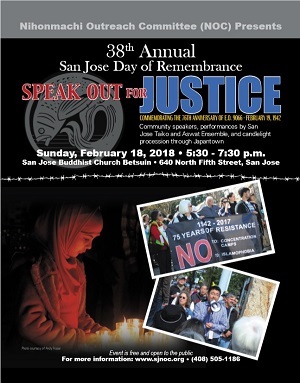 The 38th annual San Jose Day of Remembrance will feature a special joint performance by Aswat, the Bay Area's premier Arab music ensemble, and San Jose Japantown's internationally recognized, San Jose Taiko. 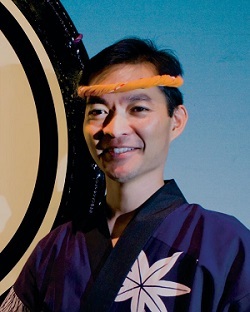 In the following article, San Jose Taiko's artistic director, Franco Imperial, describes how this unique collaboration between these two innovative musical groups got started. In 2015, I attended a Council on American Islamic Relations (CAIR) fundraiser banquet where San Jose Taiko had been requested to perform. 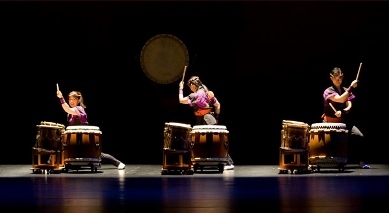 At this banquet, Taiko musically represented the Japanese American community who are recognized as the first group of people to support Muslim/Arab American communities in the events following 9/11. I learned about this special relationship at Day of Remembrance events in San Jose Japantown when I first heard Maha Engenaidi (Founder of Islamic Networks Group) speak at the 2004 event. To hear it explained as a point of gratitude at such a major CAIR event made me very proud of Japantown and I was deeply moved by the connection between our communities. 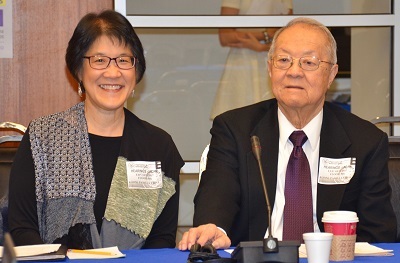 Bekki Shibayama is a member of NOC's Steering Committee and a representative of the Campaign for Justice: Redress NOW for Japanese Latin Americans. She will speak at the 2018 San Jose Day of Remembrance. 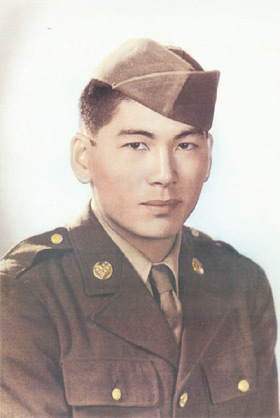 My father, Art Shibayama, was a 13-year old Peruvian citizen when he and his family were seized from their home in Lima during WWII. 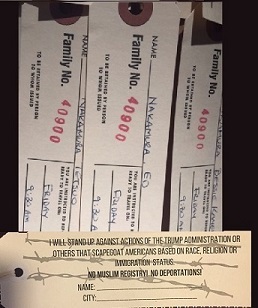 They were shipped across international waters on a U.S. Army transport and imprisoned as “potentially dangerous enemy aliens” in a Department of Justice concentration camp in the U.S. Yet their only "crime" was that they were of Japanese descent. The U.S. government planned to exchange them for U.S. citizens trapped in Japan. The following has been extracted from the National Veterans Network. he was an enemy alien. His family evacuated to Colorado in 1942. Lost Battalion where he was seriously injured. Pepperdine College and operated a travel agency in San Jose, California. 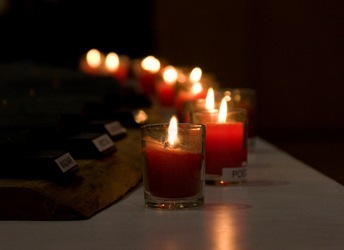 Richard Konda, the executive director of the Asian Law Alliance and a founding member of NOC, wrote the following article that addresses the theme of this year's Day of Remembrance program, "Speak Out For Justice." 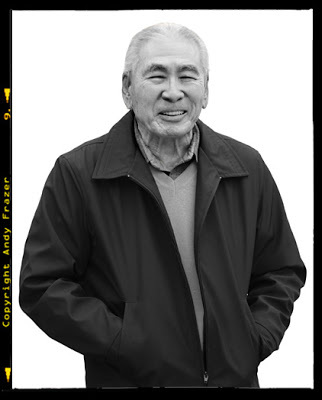 As of the writing of this article we need to continue to remember how and why the U.S. government incarcerated Japanese Americans during World War 2. We remember the brutal treatment of our community – detained in converted horse stalls – living in desolate and remote concentration camps. Immigrants and refugees in our community living in fear of deportation because of the increased enforcement by the Trump Administration. The refugees and immigrants excluded from the US because of the Trump administration’s Muslim Travel Ban. The Day of Remembrance is an event that aims to bring different communities together in order to build trust, respect, and understanding among all people and to renew our pledge to fight for equality, justice, and peace. 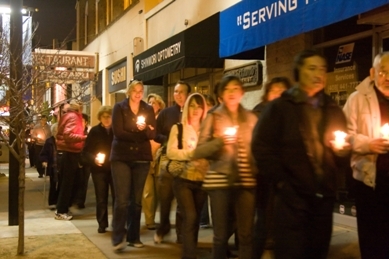 Traditional candlelight procession through San Jose's historic Japantown. Photo courtesy of Andy Frazer. 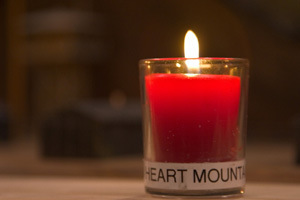 A candle is lit in memory for each of the camps. Photo courtesy of Andy Frazer. 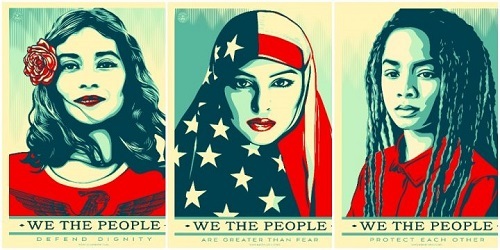 We The People image created by Shepard Fairey. Amplfier Foundation.